Where are negative emotional memories stored? Anger, fear, guilt, depression, anxiety. No one wishes to experience these feelings, however, they are inevitable to many of us. For some, these negative emotions and memories can interfere with our daily functioning and affect us and those around us greatly. Somehow these negative emotions can become familiar to us, feelings that maybe we’ve experienced before, or experience for a significant amount of time. But how is this possible? How can we somehow become familiar with such negative feelings and emotions? They’re definitely not as memorable as the positive and rewarding emotions, as if we could choose to feel content all of the time. The answer, is in your head. Literally, the negative emotions and memories that we experience are actually stored in your brain. But where? This is the “BIG QUESTION” posed by editors of The Neuropsychotherapist on October 25th, 2014. My role as a mental health therapist and Neurobiofeedback practitioner is to examine the connection between our thoughts, feelings and emotions, as well as the neurophysiological substrates of cortical and sub-cortical brain functions. “Where are negative emotions stored in the brain”, you ask? Research has shown that an imbalance, or asymmetry of neurophysiological brain wave patterns might help us understand where these negative emotions are stored. Research conducted by Richard Davidson et al, even suggests a possible predisposition to negative emotions, such as depression, due to this asymmetry. Let’s take a closer look at the brain, shall we? Our left frontal lobe is primarily associated with positive emotions, such as approach motivation and social connectedness. Conversely, the right frontal lobe of the brain is associated with negative emotions, like depression and fear. These negative emotions can significantly increase an individual’s motivation to withdraw or avoidance of others. Research has shown that when the brain produces excessive amounts of low frequency Alpha activity in the frontal left lobe, a hypo-activation of the left frontal lobe occurs. In turn, this causes a decreased awareness of the left frontal lobe’s positive emotions and an increased awareness of the right frontal lobe’s negative emotions. This increased awareness can lead to a hyper-activation of the right frontal lobe, which is deeply connected to interior limbic structures, such as the amygdala. The limbic system is the “home-base” to our emotional life and is greatly responsible for the formation of memories. So, one might speculate that this is where those negative memories are stored. So now that we know where these negative memories might be stored, what can we do about them? How might we treat these negative emotions? As a Licensed Professional Counselor, and board certified Neurobiofeedback practitioner, I like to focus on re-training the brain using a multi-modal approach. Neurofeedback, or EEG Biofeedback, is the process of modifying biological brain wave patterns in order to normalize or correct abnormal brain wave behavior, such as the alpha asymmetry described above. This operant conditioning learning technique of re-training brain wave patterns has shown great promise in the treatment of several mental health disorders such as depression, anxiety, learning disorders, and even epilepsy. Another way of re-training the brain in order to alleviate symptoms of these negative emotions is a type of psychotherapy called cognitive behavioral therapy. CBT allows an individual to learn how to modify their negative thinking patterns, by actively changing the way they think about how they feel. Acknowledgement of these negative feelings while restructuring these thoughts leads to healthier ways of thinking and an increased positive self-awareness. Negative emotions and memories not only affect our thoughts and feelings, but also have a great impact on our body’s physiology. While EEG biofeedback trains the brain to correct abnormal brain wave patterns, peripheral biofeedback is another tool that can be used in combination with psychotherapy to treat individuals with physiological symptoms of anxiety or depression brought on by negative memories and emotions. Peripheral biofeedback has been used for several years in order to allow individuals to take control over their physiological responses to stress by becoming more self-aware of irregular breathing patterns, hand temperature and skin conductance, as well as muscle tension brought on by stress or an arousal in the autonomic nervous system. The goal here is to “flip the switch” from a stressed sympathetic response to a more relaxed parasympathetic response. A strong mind-body connection allows for the relaxation of our physiological state to, in turn, have a positive effect on our emotional state, as well. While these types of treatment are all very different forms of therapy, re-training the brain to correct brain wave patterns through EEG Biofeedback, peripheral biofeedback and cognitive behavioral thought restructuring, have all proven successful in the treatment of negative emotions and memories. 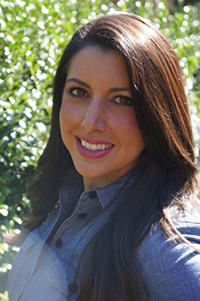 Lindsay Hollmuller is a Licensed Professional Counselor (LPC) in the state of Texas and is a Board Certified Associate Fellow in Neurofeedback by the Biofeedback Certification International Alliance (BCIA). Lindsay is a graduate of the University of Oklahoma where she earned a Bachelors degree in Psychology in 2005. In 2009, Lindsay graduated with a Master of Science Degree in Counseling from Southern Methodist University. During her graduate training, Lindsay’s interest in combining counseling psychology with neuroscience and applied physiology led her to seek specialized training in Biofeedback and Neurofeedback from The University of North Texas. Lindsay has worked for several years in a variety of mental health, medical, rehabilitation and educational settings in Oklahoma, Florida, and Texas. Lindsay currently uses a variety of neurofeedback, biofeedback and counseling methods to treat individuals of all ages. Lindsay also serves on the Executive Board for the Biofeedback Society of Texas. Lindsay is a proud past recipient of SMU’s Maguire and Irby family ethics award and public service internship. As a traumatic brain injury survivor, Lindsay is an active brain health advocate, as well as an avid runner, animal lover and cook. Lindsay: A really nice piece. This is the future of “therapy” and younger members of the profession, like you, will be leading the way! Hopefully, it won’t be too long before all mental health professionals are required to have neuroscience training. Thank you, Howard. I also agree that all mental health professionals should be required to have neuroscience training. I appreciate your feedback. I am a 52 year old female who started having. Severe seizures after a string of extreme events happened several times in a row. I had a seizure. My husband did CPR but I lost 4 months of memories. They were all life threatening events. How can a seizure just loose these memories along with anything else in the time period? My condition is terminal white matter brain disease between the Vega nerve and the cranial nerve. This is a very use full article. Thanks for sharing this knowledge with us.